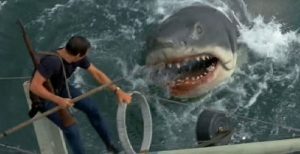 JAWS: Script to Screen LIVE and London Screenwriters Festival… Yes we are going to need a bigger boat! We are delirious to announce that Screenwriter of JAWS Carl Gottlieb will join us for a sensational Script To Screen LIVE. This is an extraordinary opportunity and promises to be an unmissable session at the festival. You may also have missed that we have the writer of‘ The Usual Suspects’ Christopher McQuarrie attending, as well as ‘Guardians of the Galaxy’ co-writer Nicole Perlman. We are in for the most outstanding gathering and event EVER! There are just over 10% of passes left, so act now. What are the most popular sessions at the London Screenwriters’ Festival?